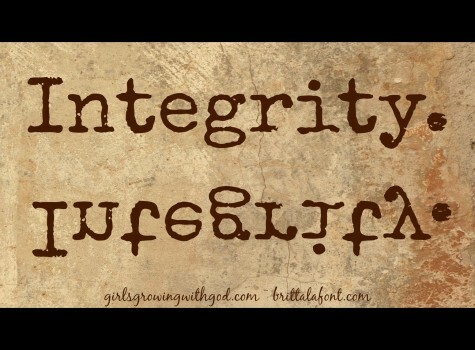 Today’s post is Part 3 of our series on Integrity and Authenticity. If you haven’t seen the other posts about this topic, you can catch up by reading Part 1 and Part 2, first. We crave Integrity which is righteousness, wholeness, and stability because we were made for it. We were made in the image of God (Gen 1:27), so when our lives reflect His righteousness, we are rewarded by feelings of wholeness and a sense of stability. When we do not conform to the image of God, our lives lack Authenticity. 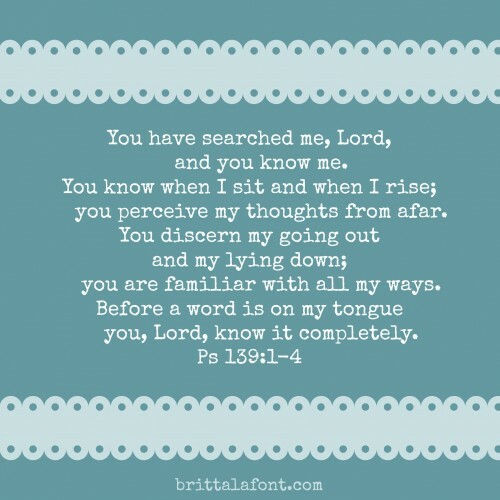 In other words, our way of living should demonstrate Who the LORD is, or else we are living a lie. Being Authentic means we are consistent: we live what we believe at home, at work, and at play. Did you ever feel that people would be shocked to know what your life is really like? Are you carrying a heavy burden, a secret that is yours…or someone else’s? I know women who have been grieved by the terrible secrets they’ve kept. One friend delivered a healthy baby boy, when she was sixteen. Her father had hidden her away at a relative’s house. She gave the gift that was her firstborn to another mother and kept the secret. And I have more than one friend, changed forever by confronting the same situation: but they had abortions. They still grieve the loss, some bear the double burden of the loss and the secret. A writer friend of mine fled from sexual abuse and subsequent PTSD, by silently finding sanctuary in a bottle of Vodka. This was just sinking sand. Keeping these kind of secrets deals a triple blow to us. We have a separation from God by sin, separation from other people by shame, and a broken heart that craves wholeness. What about unhappy homes that put on a good face? Families conceal chemically dependent parents, financial struggles, or psychiatric illness. There may be physical or verbal abuse. The marriage may be in trouble. Many children carry these burdens, quietly and painfully, on small, frail shoulders. Then there are the wives or husbands trying to keep it together for the whole family, while their spouses fall apart. And no one wants to say it out loud. Everyone is hiding in misery. It is a consensus of shame. And they heard the sound of the Lord God walking in the garden in the cool of the day, and the man and his wife hid themselves from the presence of the Lord God among the trees of the garden. But the Lord God called to the man and said to him, “Where are you?”And he said, “I heard the sound of you in the garden, and I was afraid, because I was naked, and I hid myself.” (Gen. 3:8-10). Like Adam, we cannot hide from God. Secretkeepers, at some point your energy was diverted from producing fruit to maintaining appearances. But who told you this was good? This is not how you were made to function. God’s plan is different. For whatever is hidden is meant to be disclosed, and whatever is concealed is meant to be brought out into the open (Mark 4:22). If you are living a lie, you cannot be who God made you to be, because you do not reflect Him. This is the message we have heard from Him and declare to you: God is light; in Him there is no darkness at all (1 John 1:5). Darkness is painful. Whether you conceal your own sin, or someone else’s, you are left wanting Integrity. And you will feel the loss. You will grieve for the lack of Authenticity in your life. You will crave wholeness and stability, but you will not have it. You must know God and that you are fashioned after Him. Find it in the Word, you’ll see there is no escaping this fact. Submitting to this Truth will set your freedom in motion. You must break with living the lie. Speak the truth to yourself. Speak the truth to a friend. Speak the truth, in love, to those who need to hear it, to those people whose secrets you guard so faithfully. You must be willing to endure the discomfort of change because facing the truth is better than living a lie. Change is the work of Christ, accomplished through the Holy Spirit. Therefore, if anyone is in Christ, he is a new creation. The old has passed away; behold, the new has come (2 Cor. 5:17). Here is the crux of all of this: you cannot confront someone, expecting change. Integrity is never a quid pro quo endeavor. Rather, Integrity is about YOU being willing to endure discomfort in order maintain righteousness, in order to walk in Truth. This is a risk that God rewards with the feeling of wholeness and stability that we cannot find anywhere else. The relationships may not get “fixed” and the pain of the secrets will endure after they are told, but slowly, obedience begets peace because we were made for Integrity. I loved this! Right on-very convicting and true. We all need to be in the Light more!